The Himalayan is a breed of cat that is called the Colourpoint Persian in Europe because it is almost identical to the Persian. The main differences are that it has blue eyes and the point colouration, which has come from the crossing of a Persian with a Siamese cat. The breed history of the Himalayan is sketchy, perhaps due to many cat clubs, such as the Cat Fanciers Association, classing it simply as a variation of the Persian. However, they do classify them in their own colour division and it was believed that the name came from this colour, referring to the colour of Himalayan animals and particularly, the Himalayan rabbit. All Persian cats are believed by some to descend from the Pallas’s cat, a wild cat found across central Asia that has very soft fur and no spots or stripes. It is also possible that long haired cats came about through the selective breeding efforts of man and tests are still being done across the world to sort this out. Efforts to formally recognise the Himalayan started as far back as the 1930s, when they were referred to as Siamese-Persian but weren’t recognised as a breed until the 1950s. Many early breeders were interested in adding the colouration from Siamese into the longhaired cats but by the 1980s, the interest had returned to breeding the original types of the cat. Physically, the Himalayan is much like the Persian – it has a round body with short legs that limits their ability to jump great heights. Since the 1960s, the body type of the Himalayan has become more like the Siamese but these can often not be seen as show standard cats. The chocolate and lilac points are said to be the hardest of the colours to breed. This is because both parents have to have the gene to produce Himalayan kittens of the colour, which is an autosomal recessive genetic trait. Like any longhaired cats, daily brushing is very important to keep their coats in good condition and to keep them fit and healthy. Bathing the cat is also recommended by some breeders to reduce the natural oil on the cat’s skin, though this would probably have to be done from being a kitten to avoid undue stress. Because their ancestry comes from Persian, they have the gene that causes polycystic kidney disease but a genetic test can tell if an animal has this, at which time being spayed or neutered is recommended. 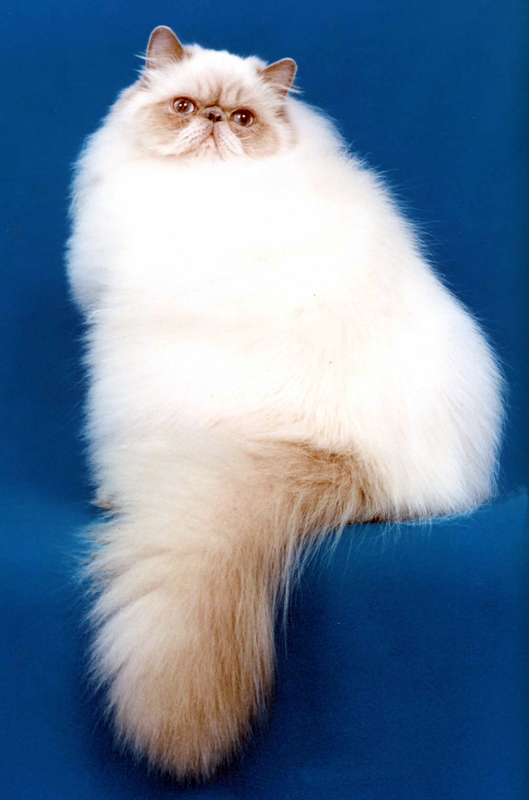 Himalayans are described as sweet-tempered and sociable, intelligent and making very good companions. They are more active than Persians are but still make good indoor cats. They love to play and fetch and need plenty of attention from their humans to be contented.